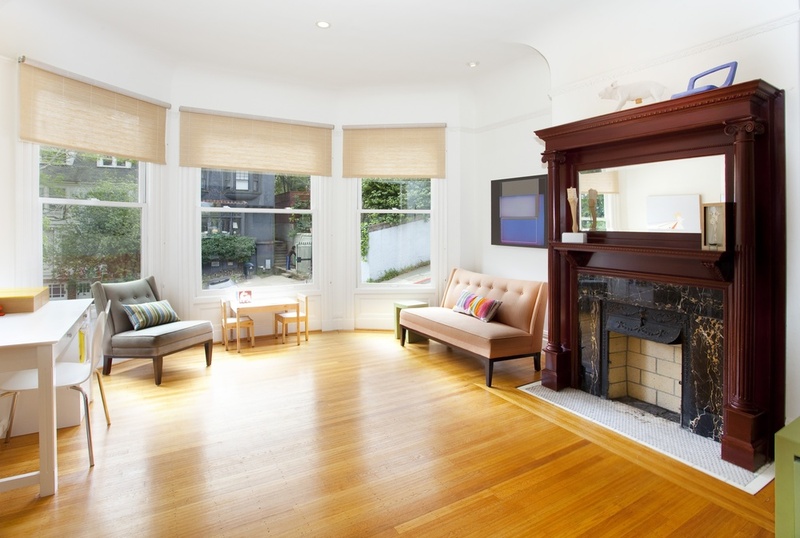 This San Francisco pre-1900 Victorian has great wall space and ceiling height for art, which is a perfect fit for a young family to expand their art collection. The large skylight above the stairway on the second floor provided a welcome challenge to the couple. We commissioned Los Angeles artist Paul Paiement to create a site specific 10-foot wide installation featuring 96 individually cut acrylic on aluminum hybrid gadgets that appeared to radiate both out from and back into the attic. The installation could be seen from both the first and second floor and created a playful and utterly unique space. They enjoy bold color and we chose a mix of photography, drawing, painting and sculpture.